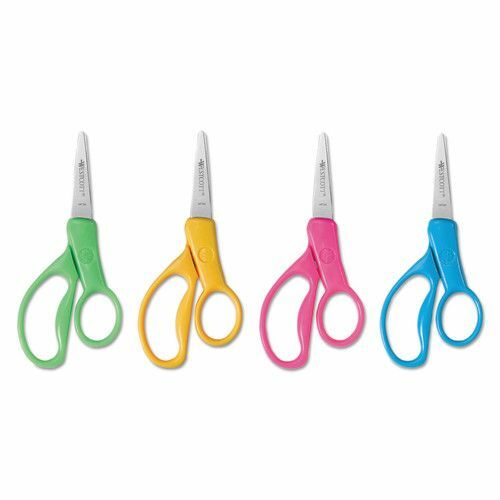 Update your home crafting kit with these Kids' Scissors. 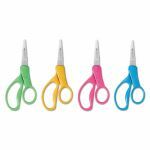 Specially designed for children, they are easy for little hands to operate. Child-friendly ergonomics allow for better transfer of power, reducing finger fatigue and making scissor use safer and more enjoyable. They accommodate left- and right-handed users ages 6 and up. 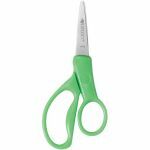 The corrosion-resistant stainless steel blades cut easily through paper, string and other crafting materials. 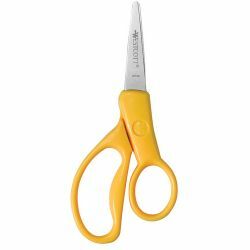 These Westcott scissors have a pointed tip, making them well-suited for home crafting projects and elaborate school assignments. 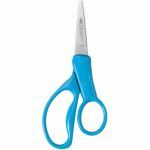 Pointed scissors are most suitable for ages 6+.